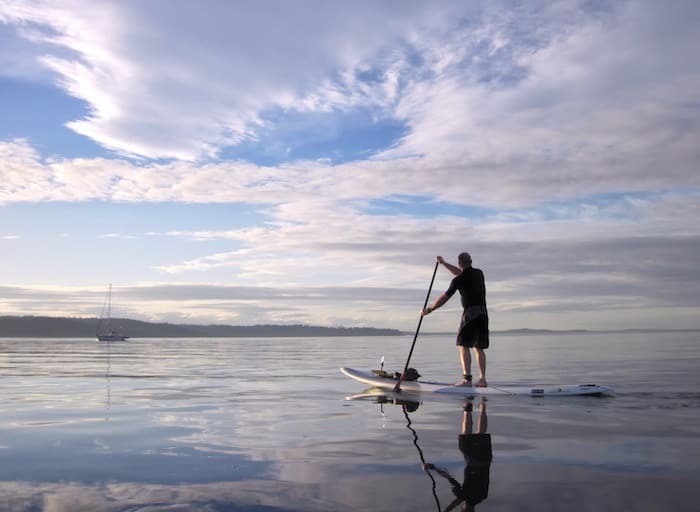 One of the fasting growing sports is stand up paddle boarding. With the discovery of the enjoyment of a successful ride, more and more people want to experience paddle boarding. The problem is that most paddle boards are too expensive for a test run. The solution is these five affordable stand up paddle boards which are available for under $400. This board is perfect for paddle boarding in a river or lake. Medium surf on the ocean is no problem for this board. These boards are surprisingly stable which allows an individual to practice yoga poses or do stretches. Each of these boards has D-rings for a kayak seat. 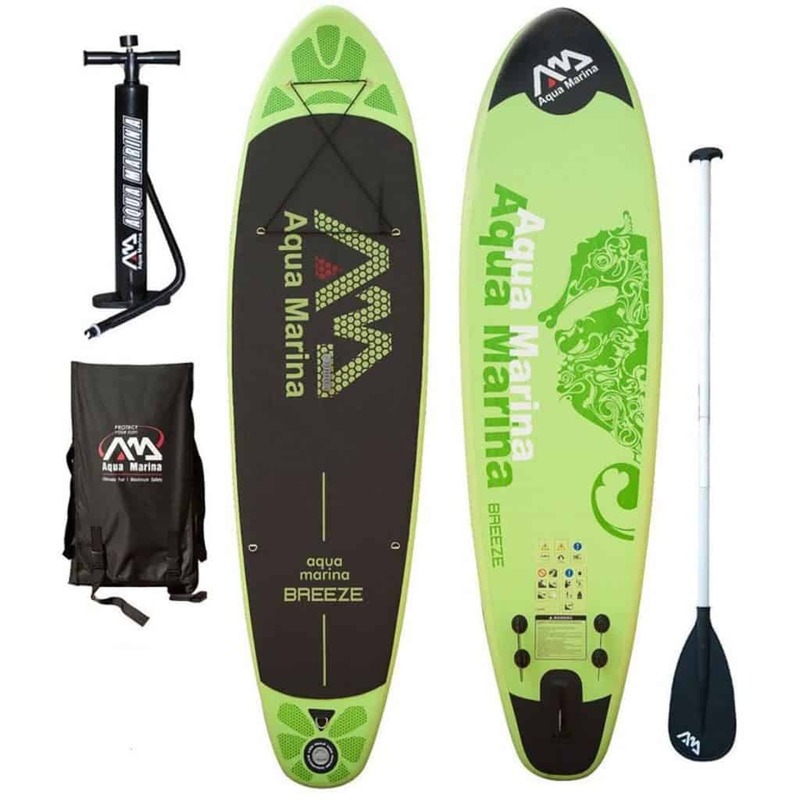 This paddle board comes with the board, pump, paddle, and a case to carry it. This paddle board is excellent for two people or a person and a dog. However, a person should remember to follow the weight capacity limit. It is even possible to fish from this board. The deck is large with a non-slip surface. The PVC material is durable and can handle rocks and rapids. 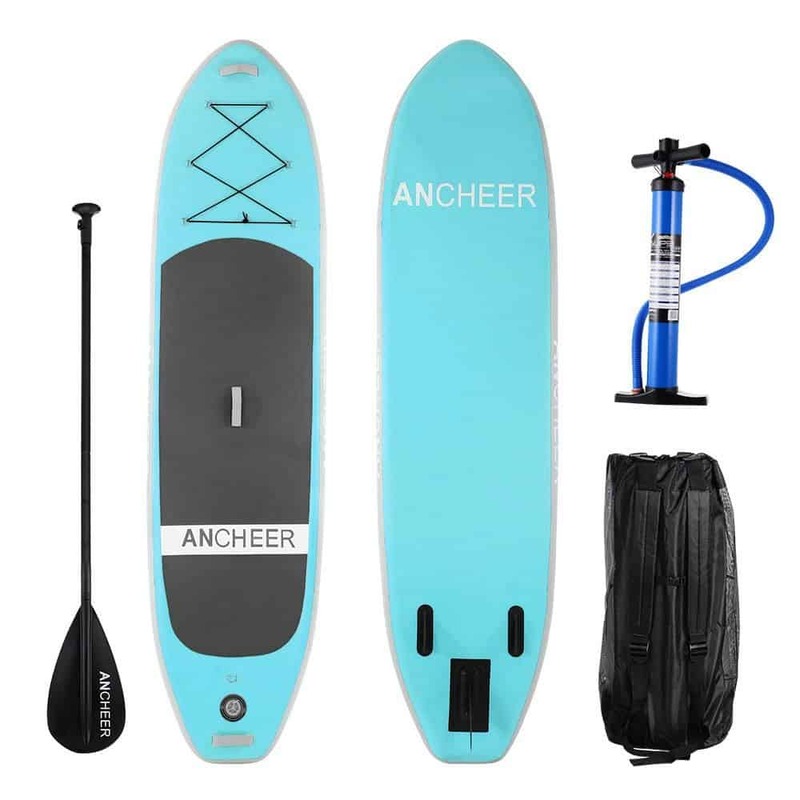 This Ancheer comes with the SUP board, paddle, pump, and a backpack. Because of the design of multiple layers of this board, it becomes extremely hard when it is inflated. The board is 6″ thick and durable which means it can easily hold a boarder up to 300 pounds. 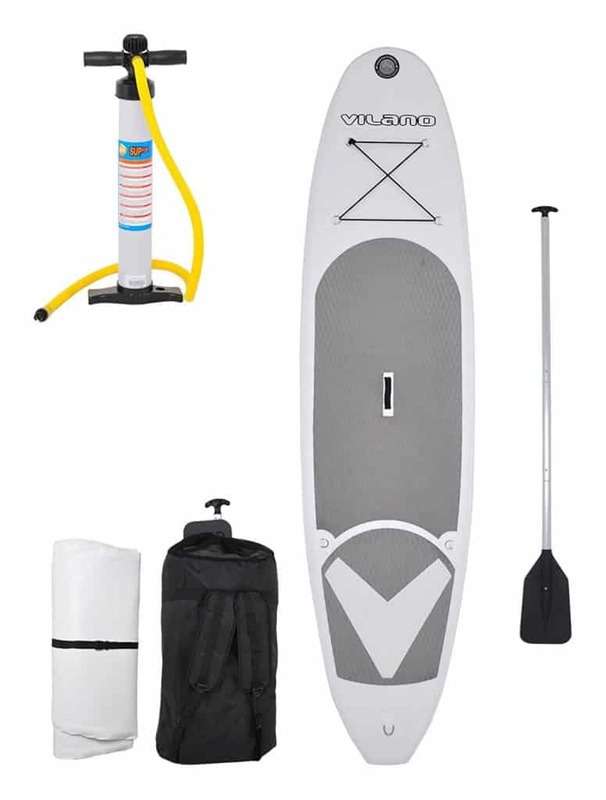 This set comes with the board, paddle, tall-style pump, backpack, and a repair kit. This board comes with a five-year warranty offered by Lifetime. This board is 35.5″ wide which offers a large, stable area for exercising, yoga posing, and a variety of other activities. Being 6″ thick, it also can support heavier weights. The design of this paddle board allows it to track through the water smoothly. This board can provide a similar experience to a traditional non-inflatable board when inflated correctly. It can also withstand severe conditions and a variety of uses. The grip section of this board is the best out of the five available on this list. This board also comes with a one year warranty offered by the manufacturer. 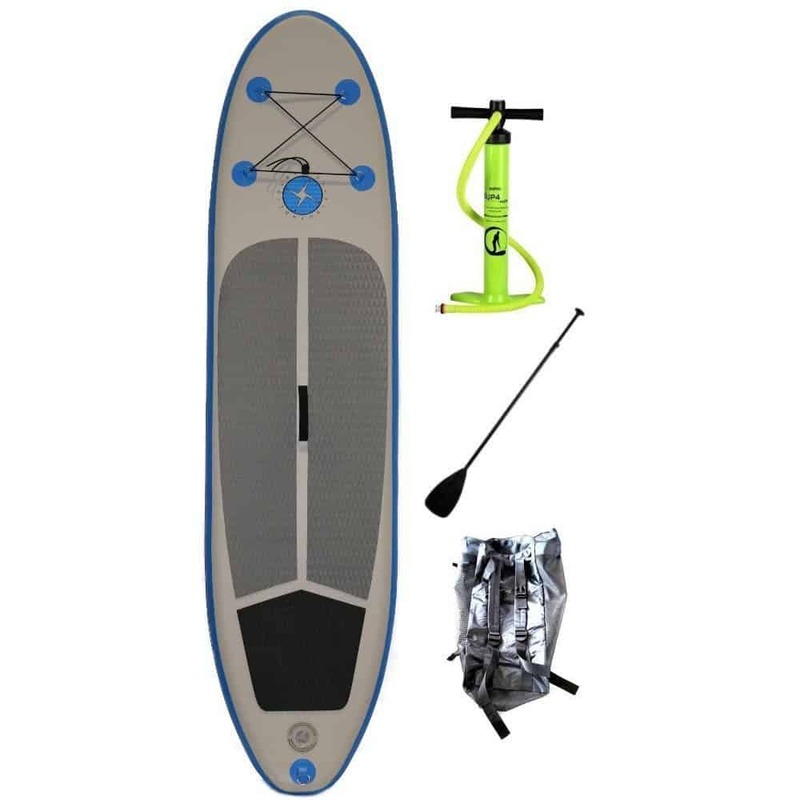 It comes with the collapsible paddle, pump, board, and backpack. This list should make it easy to join the fun. These boards make paddle boarding available to everyone including those with tighter budgets. One thing to remember is that prices are continually changing, but a person should still be able to find an affordable board and have an enjoyable ride. Sometimes buying things just comes down to affordability. We hear “Paddleboard” and typically think expensive. Well as we have shown, this is not always the case. 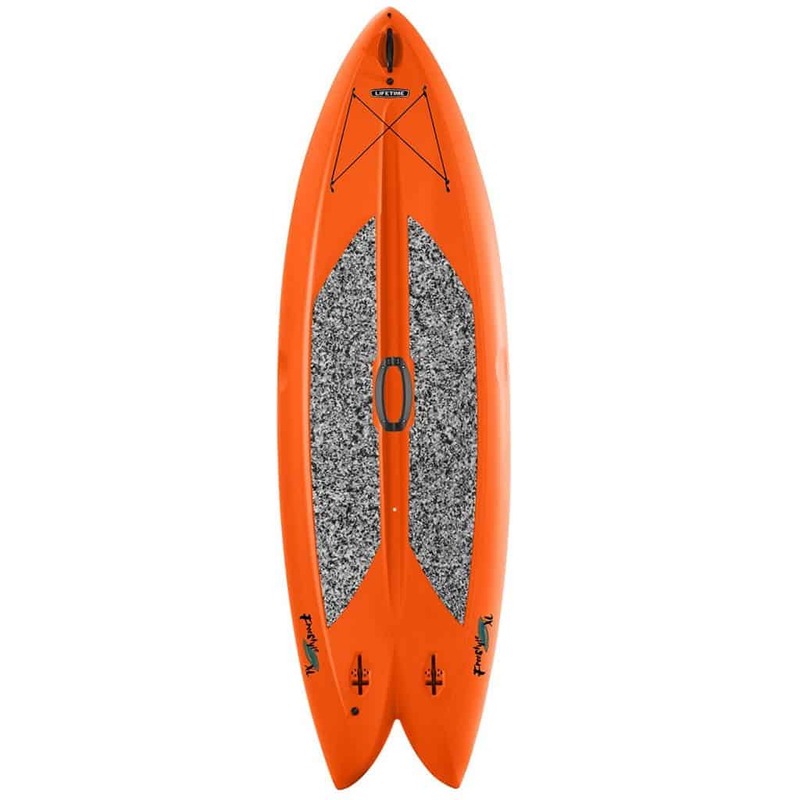 There are plenty of solid entry level SUPs out there for very reasonable prices.